This year’s Eyegore Award honorees included Oscar®-nominated Mexican filmmaker Guillermo del Toro, renowned for the “Hellboy” films and “Pan’s Labyrinth.” Del Toro will continue his reign of horror as Executive Producer of Universal Pictures’ supernatural thriller “Mama,” opening January 18, 2013. Chad Michael Murray was recognized for his role in “House of Wax” and his upcoming horror film, “The Haunting in Georgia.” “Grimm” stars Silas Weir Mitchell and Bitsie Tulloch represented NBC’s hit series and accepted an award on behalf of the cult favorite TV show. The mother-daughter duo of Angélica María and Angélica Vale accepted the Eyegore Award for their role in the psychological thriller series “Mujeres Asesinas 2” (“Female Assassins 2”). 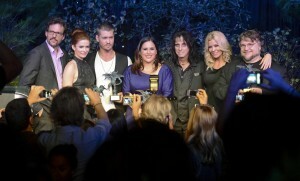 McKenzie Westmore, host of Syfy’s “FaceOff” helmed the event as this year’s Eyegore Awards host. 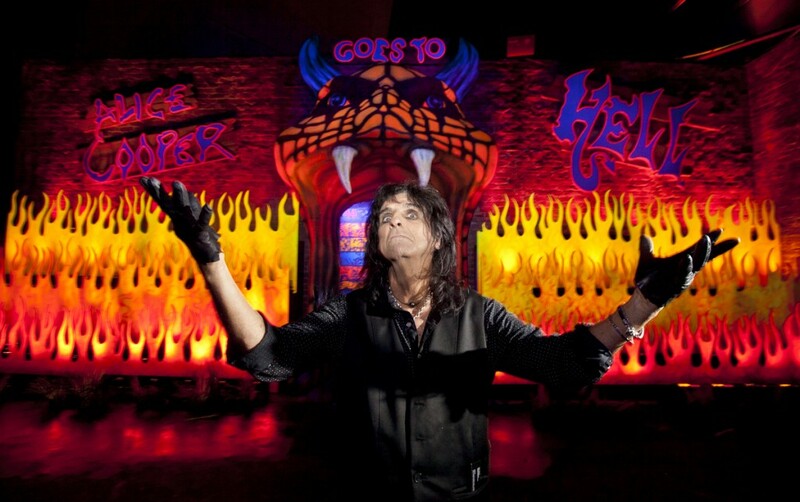 Joining in the celebration was last year’s Eyegore Award recipient, legendary shock rocker and Rock and Roll Hall of Famer Alice Cooper, who also helped bring to life his namesake maze, “Alice Cooper Goes to Hell 3D,” at this year’s event. Other stars included Adelaide Clemens, star of the upcoming film, “Silent Hill: Revelation 3”; Kate del Castillo, who will guest star in “Grimm’s” Halloween episode, “La Llorona,” airing on October 26; Katie Featherston, star of the “Paranormal Activity” film series; and “Rock of Ages” star Diego Boneta. 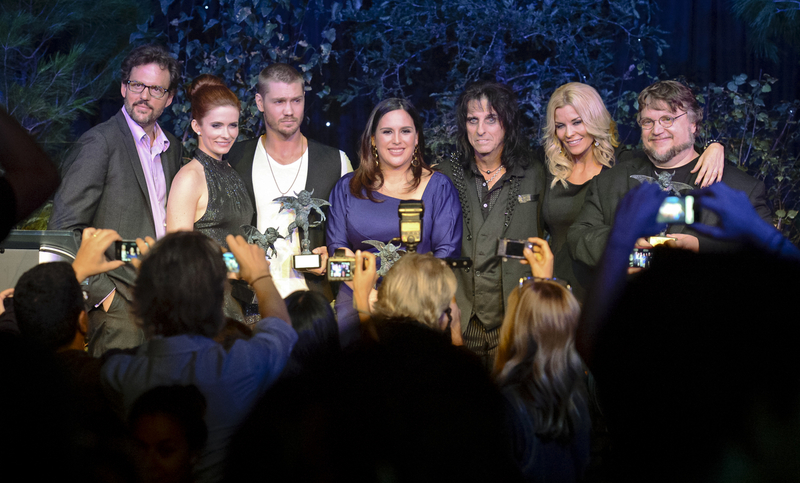 Other guests included Wilmer Valderrama, Bella Thorne, Sid Haig, Bill Mosely, Olympic Gold Medalist in Swimming, Conor Dwyer, LA Clipper’s Caron Butler and Ryan Hollins, and “Halloween Horror Nights” Creative Director, John Murdy. This year’s “Halloween Horror Nights” event brings together the sickest minds in horror to immerse guests in the living, breathing, three-dimensional world of the most notorious and terrifying creatures. Mazes include: “The Walking Dead: Dead Inside,” based on AMC’s Golden Globe®-nominated and Emmy® Award-winning TV series; “Welcome to Silent Hill,” based on the popular video games and film franchise; an encore performance by legendary musician Alice Cooper in “Alice Cooper Goes to Hell 3D”; “La Llorona: Cazadora de Niños”(“Weeping Woman: Child Hunter”), inspired by the chilling Mexican and Latin American legend that has terrified children for centuries; “The Texas Chain Saw Massacre: The Saw is the Law,” based on filmmaker Tobe Hooper’s notoriously unsettling 1974 horror film classic; and “Universal Monsters Remix,” featuring re-imagined classic horror icons fused with electronica-inspired music. An all-new “Terror Tram: Invaded by The Walking Dead,” also based on the hit AMC TV series, unleashes hordes of flesh-eating “walkers” on Universal’s world-famous backlot. This entry was posted in Haunted Attractions, News and tagged Halloween Horror Nights, Halloween Horror Nights Hollywood, Universal Studios Hollywood. Bookmark the permalink.